The all-new 2018 Yamaha Kodiak 450 EPS Utility Quad Bike is another incredible ATV by Yamaha brand. 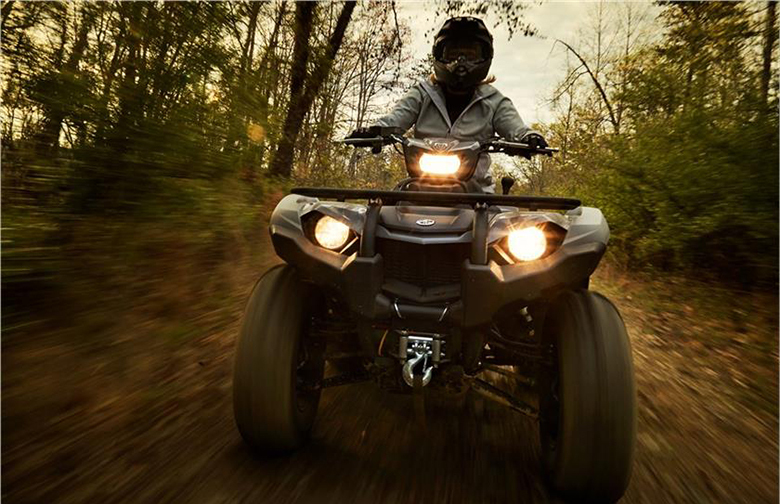 This quad bike features the best off-road capabilities that every ATV rider wishes. It provides the ultimate comfort and legendary reliability. 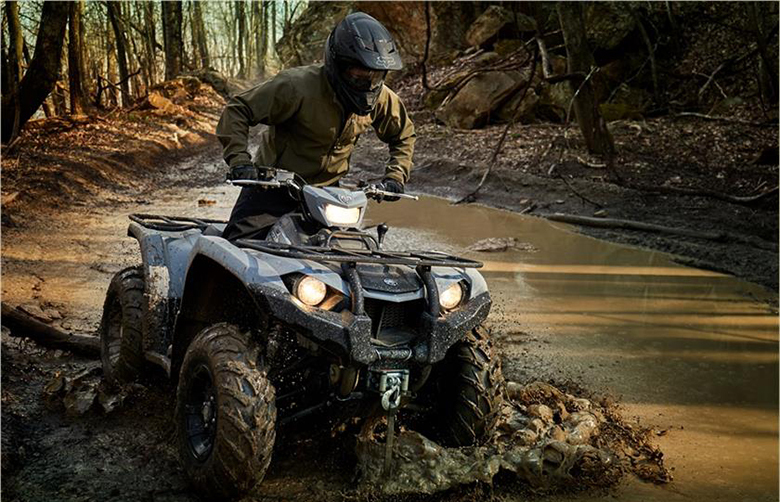 The all-new 2018 Yamaha Kodiak 450 EPS Utility Quad Bike is the best choice for those riders who want mid-size ATV. Its powerful engine with the compact and colorful chassis provides the best performance with style. The seat provides the best seating position so that rider can have maximum comfort and control over the bike. Since it is from the Best Quad Bike Brand so it provides an ultimate condition in all kind of surfaces. Following are the full review, specification, and price of new 2018 Yamaha Kodiak 450 EPS Utility Quad Bike. The all-new 2018 Yamaha Kodiak 450 EPS Utility Quad Bike contains the number of features making it an ultimate quad bike to ride on. It has 9.6 inches of ground clearance and full-length composite skid plates providing maximum protection. The new Yamaha’s Electric Power Steering offers the best balance of steering assist. It also delivers the positive feedback by examining the gear position, 4WD mode and speed to match different terrain conditions. 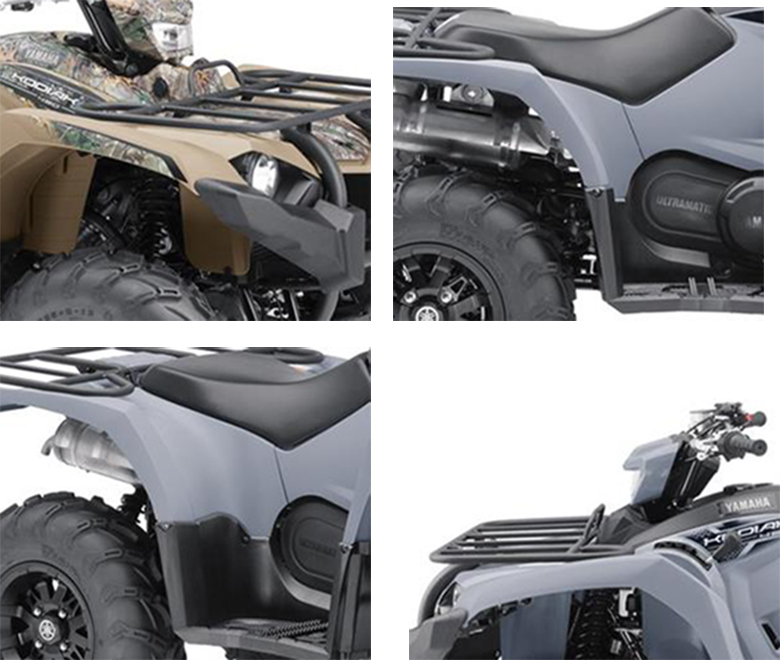 This Yamaha ATV features the compact design of body making it less bulky. This feature helps in excellent handling and confidence-inspiring ride over the variety of terrain conditions. The all-new 2018 Yamaha Kodiak 450 EPS Utility Quad Bike comes with the 421cc of SOHC engine providing the best power and torque. It ensures the smooth ride with minimal fatigue. The use of new Mikuni fuel injection ensures easy cold starts and flawless fuel delivery in all conditions. The liquid cooling and high-volume fan system guarantee the reliable and consistent performance. The new Ultramatic transmission features the gated shifter, with the park, dual-range Hi/Lo Drive, and the reverse gear is specifically tuned to provide the lowered cruising rpm for quiet and smooth operation. The position of gates shifter was carefully selected to provide the best riding experience. The on-command 4WD system enables the rider to switch between the 2WS and limited-slip 4WD with the simple push of the button. This system eliminates the slipping while waiting for the computer-controlled system to engage. The new hydraulic disc brake provides the powerful stopping power which adds another level to the rider confidence. The sealed rear brake is specially protected from dirt, rocks, and mud. It’s beefy 25-inch of tire provides an aggressive tread pattern and offers the best balance of precise steering. These tires are optimized for more comfort and to make most out of available traction. The large diameter steel cargo racks with the durable wrinkle paint finish have the storage capacity of 264 pounds. 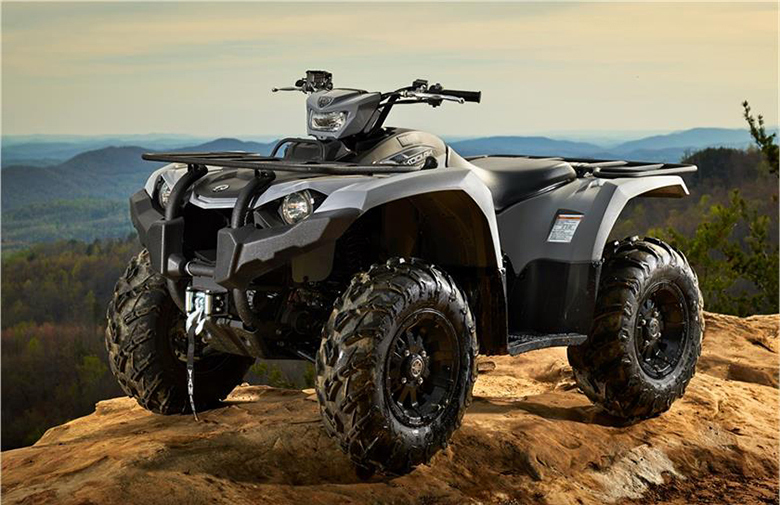 The heavy-duty ball mounts come as a standard enabling this new Yamaha ATV to tow more than 1322 pounds. The all-new 2018 Yamaha Kodiak 450 EPS Utility Quad Bike offers an ideal riding position to the rider so that he can feel the same room as the larger Yamaha Kodiak 700. The tall handlebar enables to a rider to have full control over this bike. It is optimized for maximum rider comfort and the largely textured floorboards, new oversized thumb throttle was designed for best performance. The newly developed rubber engine is attached that isolate the vibrations from the engine and provide the smooth ride. The use of new double wishbone suspension provides the light steering feel, improved shocks performance across the entire range of travel. The front wheel travel is about 6.7 inches while the rear wheel travel is about 4.7 inches offering an excellent rider comfort. The Yamaha’s Electric Power Steering reduces the fatigue with the predictable steering assistance that has the ability to adapt according to changing riding conditions. The compact LCD instrument cluster provides the clear information about the speed, transmission status fuel level and much more. The use of halogen work light mounted to its handlebars gives the bright light output. The 12V power port comes as standard, enables the rider to charge his devices during long rides. There is an under seat storage as well enabling the securing added items for longer rides. The all-new 2018 Yamaha Kodiak 450 EPS Utility Quad Bike features the new Yamaha’s Ultramatic system, which is very famous in the market of transmission. It contains an automatic centrifugal clutch, which maintains the constant belt tension for minimum belt wear. The sprag clutch offers an all-wheel engine braking. 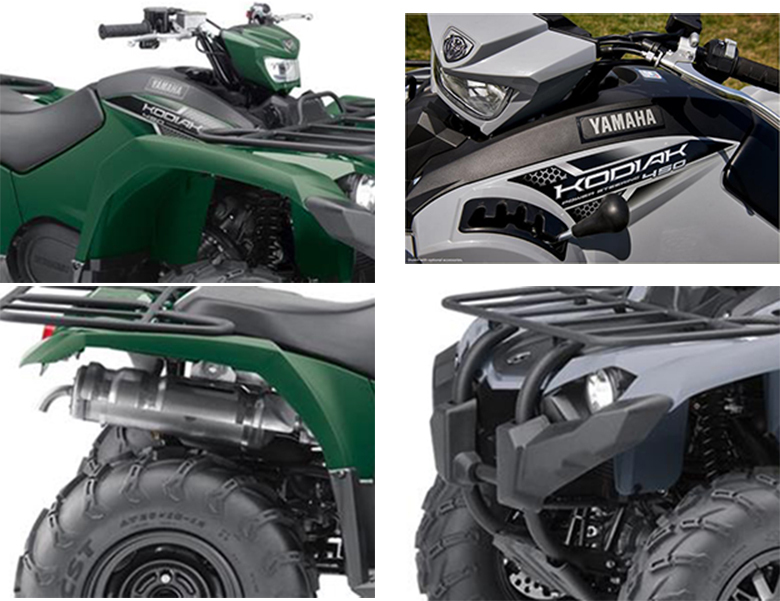 This same feature is also present in 2018 Yamaha Kodiak 450. The high-mounted air intakes ensure the ultimate protection of engine and drive system from water and debris. These air channels give plenty of cool and clean air to ensure the low temperature of V-belt on rough surfaces. The marine-grade waterproof connectors for maximum weatherproofing and durability and improving the serviceability. The design of powertrain is carefully designed to make it service and maintenance as free as possible. The airbox features the tool-less access to the air element. The overall body is uniquely textured with the new injection-molded fenders to protect it against rock and debris. It contains an eye-catching graphics. 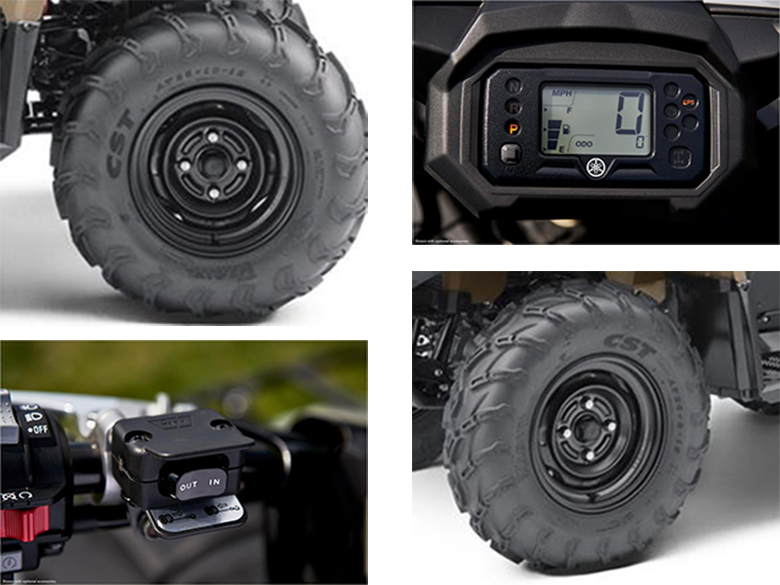 One can also use the Genuine Yamaha Accessories to configure his ATV. 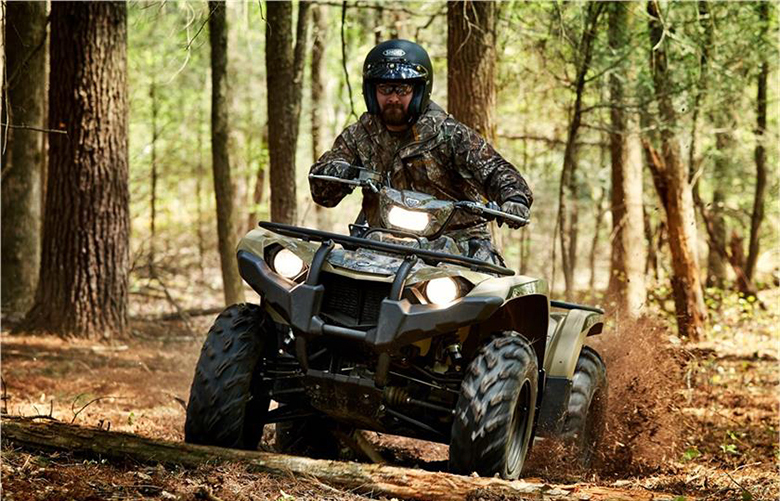 The newly launched 2018 Yamaha Kodiak 450 EPS Utility Quad Bike is assembled in Newnan, GA, U.S.A. The all-new 2018 Yamaha Kodiak 450 EPS Utility Quad Bike is available in three different color combination and price tags. These quad bikes are available from June 2017 and rider can purchase them to enjoy the ride. This article is about the review of new 2018 Yamaha Kodiak 450 EPS Utility Quad Bike and it shows that this is an incredible quad bike. It features the powerful engine providing massive torque, acceleration, and power to its wheels. The suspension system is optimized for a smooth ride while the braking system ensures the best stopping power. The use of new tread design for tires offers the best grip in all kinds of surfaces. 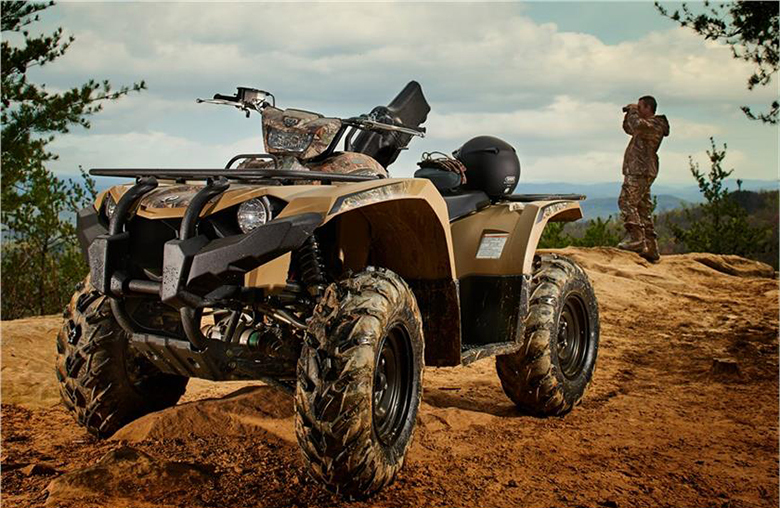 There are a number of features making this ATV an ideal mid-size quad bike to ride on.